A empresa italiana Acustica-Audio continua levando adiante a bem sucedida série de plugins Acqua, inaugurando suas tecnologias revolucionarias core12 e STT (Super transient technology). Esta atualização traz muito mais do que apenas uma cara nova: é um verdadeiro salto tecnológico que leva a uma qualidade de som incomparável dentro da série Aqua. O PINK2 é o primeiro do plug-in Acustica baseado no CORE 12, uma atualização significativa que apresenta novos recursos importantes que afetam tanto o desempenho quanto a qualidade sonora. É notável a diferença de performance, em comparação com a versão anterior, consegui abrir várias instâncias do PINK2 channel strip em uma mixagem típica de rock, com 30 canais. Obviamente tive que congelar algumas trilhas, mas nada que me desse trabalho, mixar com o PINK2 foi bem divertido. 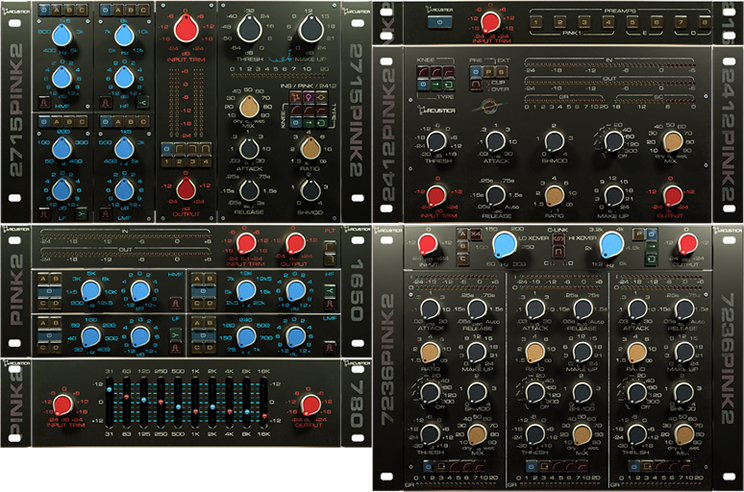 O Pink2 é um pacote de plug-in VST / AAX / AU que é baseado em uma coleção de equipamentos americanos bem conhecidos dos anos 60 que ainda são construídos até hoje e gozam de grande admiração entre engenheiros de todo o mundo. Obviamente estamos falando dos lendários API. 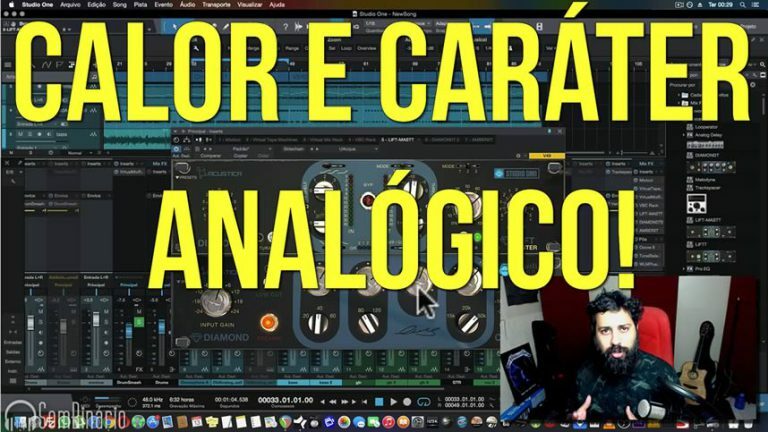 Com 5 diferentes modelos de EQ, uma super banda flexível e compressores multibanda e uma coleção de pré-amplificadores (emulações de distorção de circuitos), esta é uma das suítes mais completas oferecidas pela Acustica-Audio. Pode ser definido como a melhor coleção de plug-ins, concebida e projetada para se tornar parte integrante do seus equipamentos favoritos. • 1: Classic discrete mic preamp. • 2: The pass-though color of EQ model B. 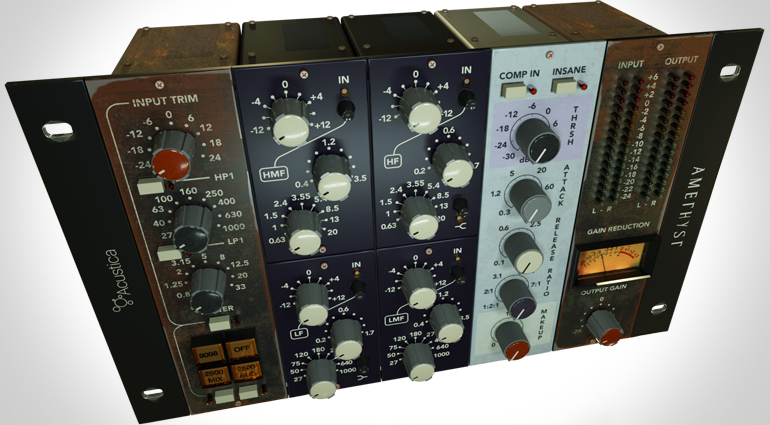 • 3: Classic Compressor preamp simulation. • 4: Modern clone of the classic mic pre modelled in preamp 1. • 5: Legendary vintage console mic preamp. 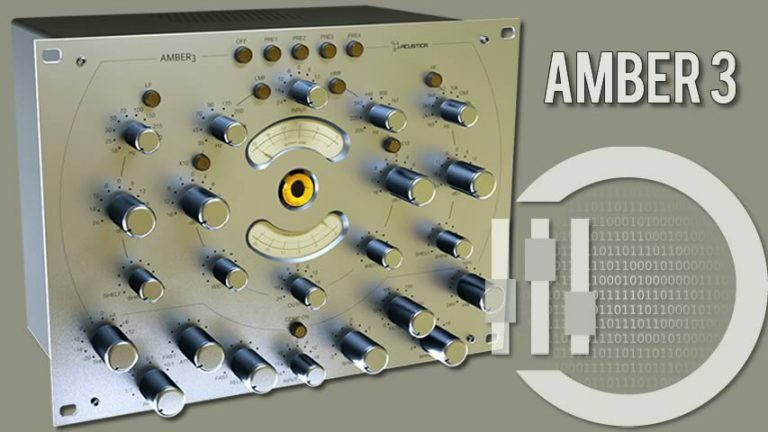 • 6: Modern clone of the classic mic amp emulated in preamp 5. • 7: Mic pre for Model D.
• 8: The pass-though color of EQ Model D.
• Input Trim: from -24dB to 24dB (this function allows for a "one knob" internal gain control by hidden linked input and output gain stages). • Bypass: on or off. • 10 Bands at set frequencies: 31Hz, 63Hz, 125Hz, 250Hz, 500Hz, 1kHz, 2kHz, 4kHz, 8kHz, 16kHz. Continuous gain from -12dB to 12dB. Proportional bandwidth. • Input Trim: from -24dB to 24dB. Pink2 1650: 4 band EQ module with 4 selectable per band models and modded static Q option for all peak bands. • High-pass and Low-pass Filters: on and off. 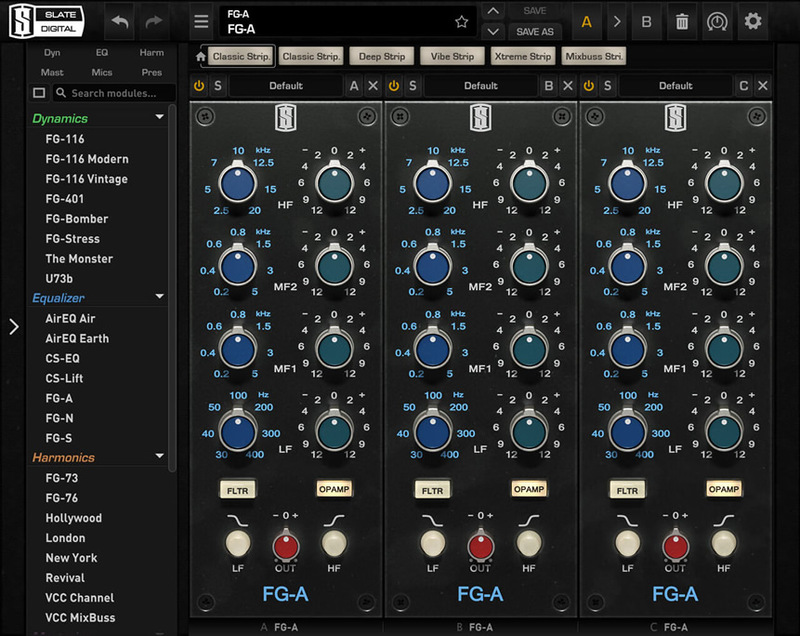 • Hardware EQ Preamp Simulation (P): on and off. • Low Band: from 50Hz to 400Hz. Continuous gain from -12dB to 12dB. Switchable between peak and shelving. Peak switchable from proportional to constant bandwidth. • Low Mid Band: from 400Hz to 5000Hz. Continuous gain from -12dB to 12dB. Peak switchable from proportional to constant bandwidth. • High Mid Band: from 400Hz to 5000Hz. Continuous gain from -12dB to 12dB. Peak switchable from proportional to constant bandwidth. • High Band: from 5000Hz to 13000Hz. Continuous gain from -12dB to 12dB. Switchable between peak and shelving. Peak switchable from proportional to constant bandwidth. • Low Band: from 30Hz to 400Hz. Continuous gain from -12dB to 12dB. Switchable between peak and shelving. 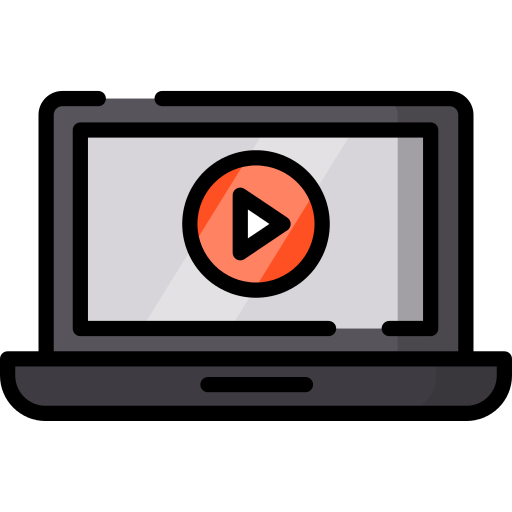 Peak switchable from proportional to constant bandwidth. • Low Mid Band: from 75Hz to 1000Hz. Continuous gain from -12dB to 12dB. Peak switchable from proportional to constant bandwidth. • High Mid Band: from 800Hz to 12500Hz. Continuous gain from -12dB to 12dB. Peak switchable from proportional to constant bandwidth. • High Band: from 2500Hz to 20000Hz. Continuous gain from -12dB to 12dB. Switchable between peak and shelving. Peak switchable from proportional to constant bandwidth. • High Band: from 5000Hz to 15000Hz. Continuous gain from -12dB to 12dB. Switchable between peak and shelving. Peak switchable from proportional to constant bandwidth. • Hardware Compressor Preamp Simulation (P): on and off. • Clipper: on and off. • Threshold: from -30dB to 18dB. • Ratio: from 1.5 to infinite. • Attack: from 0.03ms to 30ms. • Release: from 0.05sec. to 1.5sec., plus auto-release. • Knee (KNEE): soft, medium, and hard. • Compression Types (TYPE): feed-back, feed-forward, and off. • Side-chain Curve: from tilt to 300 Hz HPF, plus Pink channel-strip curve. • Meters: Input (IN), output (OUT), gain reduction (GR) and side-chain meter (SC), clipper action and internal level overflow indicators. • Input Gain: from -24dB to 24dB. • Filter Types (XOVER TYPE): Three cross-over filters derived from a vacuum tube multiband compressor, analog solid-state mutltiband compressor, and "Jolly" home-brew custom type filter, built and sampled especially for this multiband compressor. • Control Link (C-LINK): enable and disable. • Band Threshold: from -30dB to 18dB. • Band Ratio: from 1.5 to infinite. • Band Attack: from 0.03ms to 30ms. • Band Release: from 0.05sec. to 1.5sec., plus auto-release. • Band Makeup: from 0dB to 24dB. • Band Adjustable Attack Shape (SHMOD): from 0 to 4 (2 as in hardware). SHMod, an adjustable attack behavior shape control that allows to fine-tune and 'scew' the attack shape. • Band Dry/Wet Mix for parallel compression (MIX): from 0 to 100%. • Hardware Preamp Simulation: for models 1, 2, 3, 4 as listed above and off option. • High-pass, Low-pass and Band-pass Filters: on and off. • Insane Mode: on or off. (With it one the compressor delivers better quality minimising any artefacts for the expense of higher CPU consumption. • Threshold: from -64dB to 0dB. • Compressor Model Switch: default Pink1 compressor to Pink2 2412 compressor. • Side-chain Pink channel-strip curve: on or off. This filter cuts the lows and boosts the highs of the S/C signal. • Compressor bypass switch: on or off.